Pretty popular pristine parks. Say that five times fast. Not so easy, right? That little tongue twister sums up Richfield’s parks pretty well. The city is known for its quality and quantity of public green space and the next time you are in the neighborhood you should check one, two or maybe even three of them out. 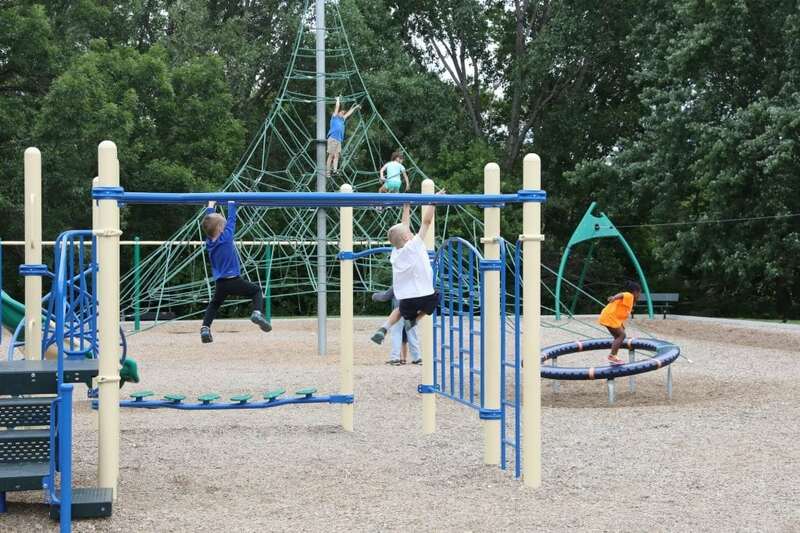 All in all, Richfield’s parks encompass 450 acres of land across 23 different parks. These parks provide amenities diverse in character: natural areas, walking and bike paths, athletic facilities, playgrounds, open green space, and more. The largest park in Richfield is the Wood Lake Nature Center. The nature center is a 150-acre natural area dedicated to environmental education, wildlife observation, and outdoor recreation. The Twin Cities favorite includes a 4,000 square-foot main building, which features many educational exhibits. The park features several wildlife viewing areas, a 100-seat amphitheater, a picnic ground, and three miles of trails and boardwalks. Most trails are wheelchair accessible during summer months. If you are looking for a more traditional urban park experience, you are going to want to head over to Veterans Park. The park is home to a play feature that has a zip line, slides, swings, climbing netting and a whole lot more. Veterans Park is also home to Richfield’s farmers market, which is the third oldest farmers market in the metro. Richfield’s parks are also home to an extensive array of pickleball courts. If you are not familiar with pickleball, it is the amalgamation of the sports of badminton, ping pong and tennis. It is a hoot. The sport can be played by anyone ranging in age from 5 to 105, so grab a paddle and head over to one of Richfield’s pickleball courts because you will not regret it. The newest city park amenity, kayaking, arrived in Richfield only a couple weeks ago. At Richfield’s Taft Park visitors can rent kayaks in two-hour blocks for only $20. The best part, besides having some fun in the sun, is that the whole rental process can be accomplished using your smartphone. Take advantage of the beautiful weather and head over to Taft Park and be one of the first people to utilize this cool new feature. Whether it is hiking the trails at the Wood Lake Nature Center or kayaking on Taft Lake, Richfield’s parks have something for everyone. The next time you are in town, check them out. Oh, and always remember: pretty popular pristine parks.